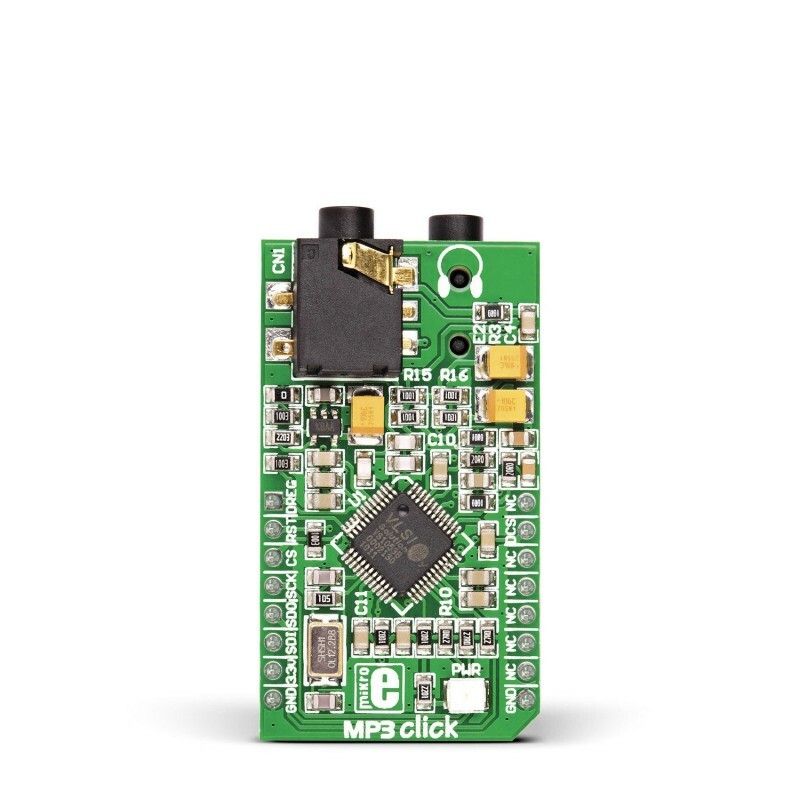 MP3 Click is an accessory board in mikroBus™ form factor. It includes a stereo MP3 decoder chip VS1053 which can decode multiple formats (Ogg vorbis, MP3, MP1, MP2, MPEG4, WMA, FLAC, WAV, MIDI). 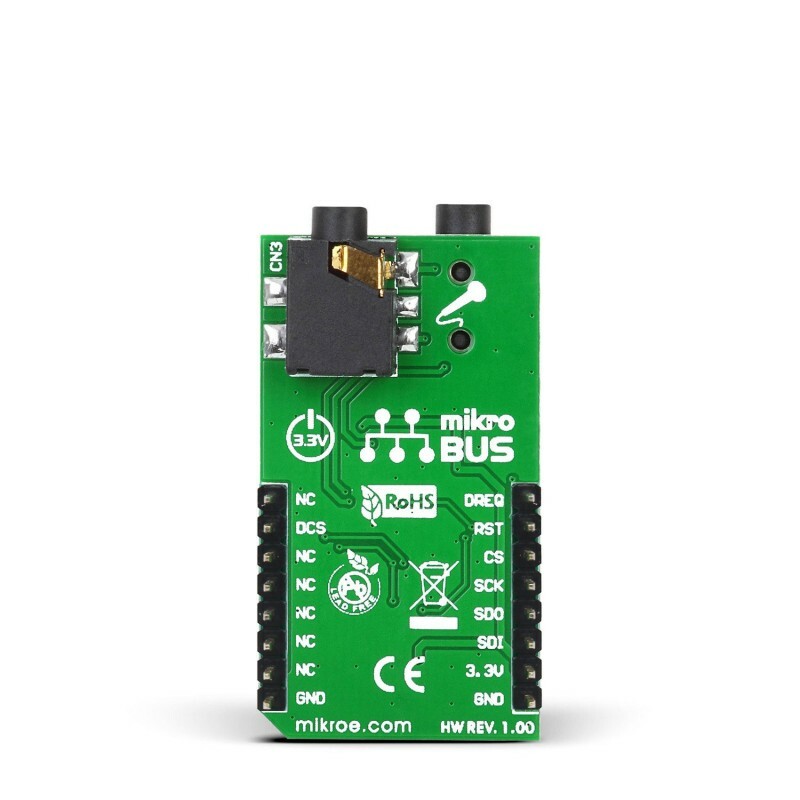 MP3 Click is an accessory board in mikroBus™ form factor. It includes a stereo MP3 decoder chip VS1053 which can decode multiple formats (Ogg vorbis, MP3, MP1, MP2, MPEG4, WMA, FLAC, WAV, MIDI), and encode three different formats from microphone in mono or stereo format (Ogg vorbis, IMA ADPCM, 16-bit PCM). 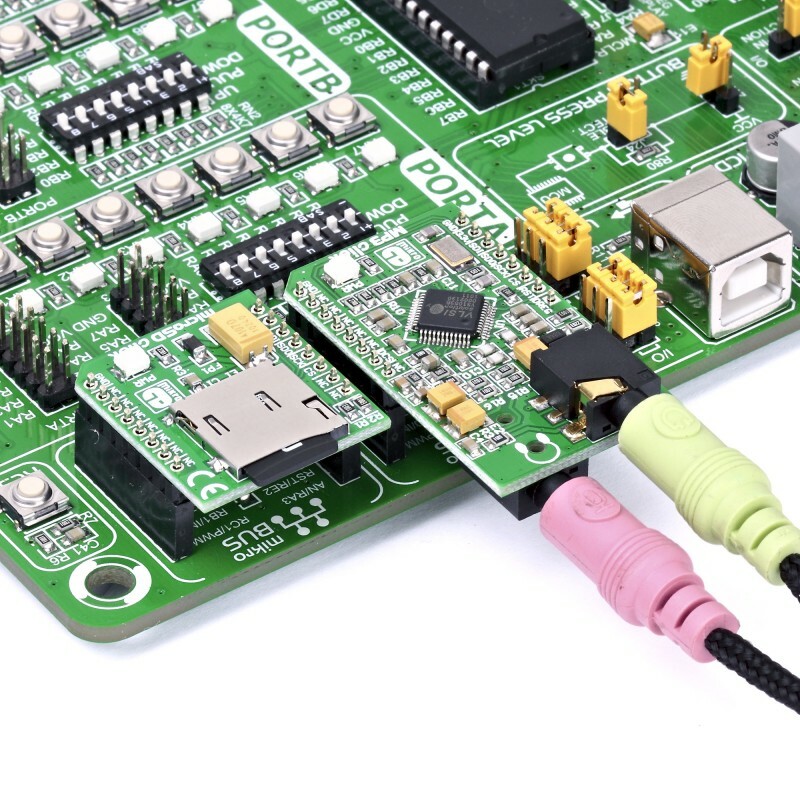 Board uses industry-standard Serial Peripheral Interface for communication, and can only use 3.3V power supply. Board features stereo headphone and microphone audio connectors. 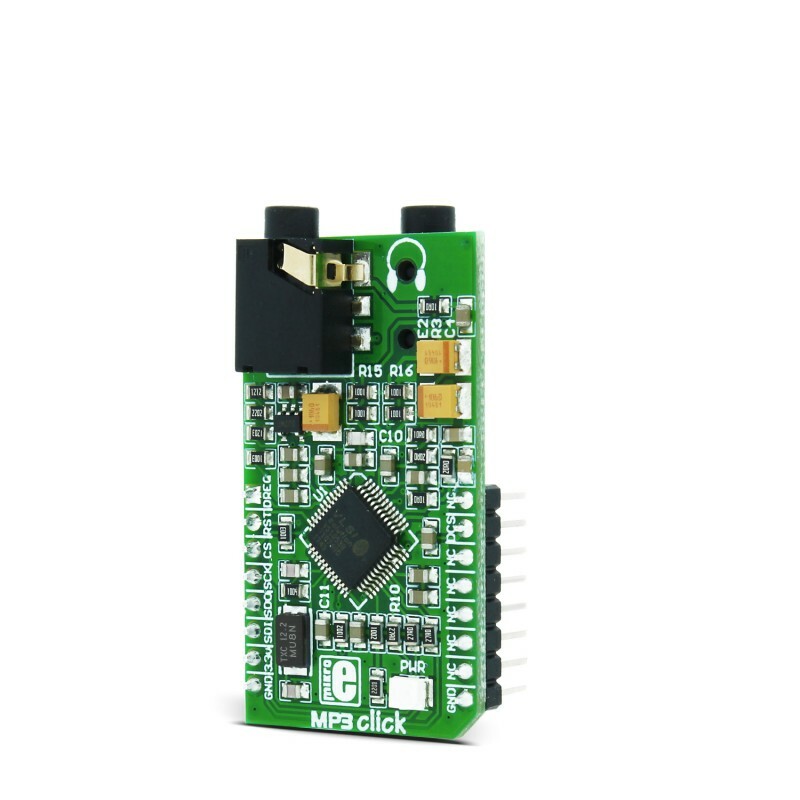 Applications MP3 click is ideal for creating MP3 players, audio signalization devices, voice recorders and other devices. Key Benefits Decodes majority of popular audio formats. Can be used as a slave co-processor.